This is one of my entryway tables and one of my most favourite pieces of furniture. 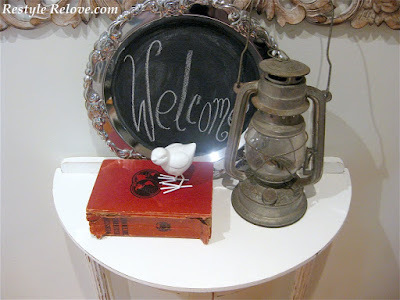 I also love my Chalk Board Welcome Silver Tray and Vintage Oil Lamp. 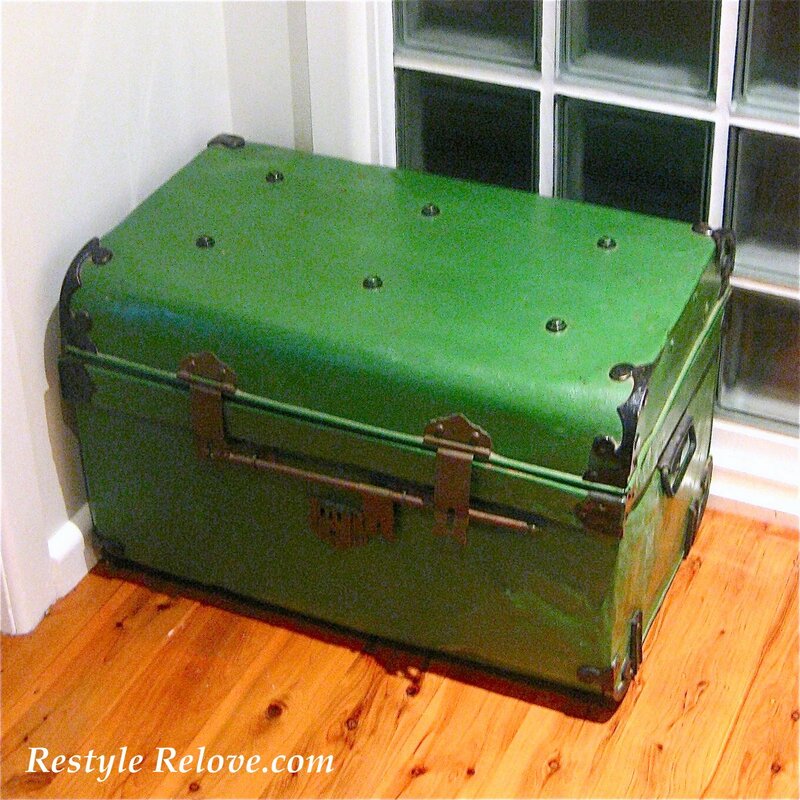 This large vintage metal trunk is great for dumping stuff in and on! I'm still debating whether to paint it. 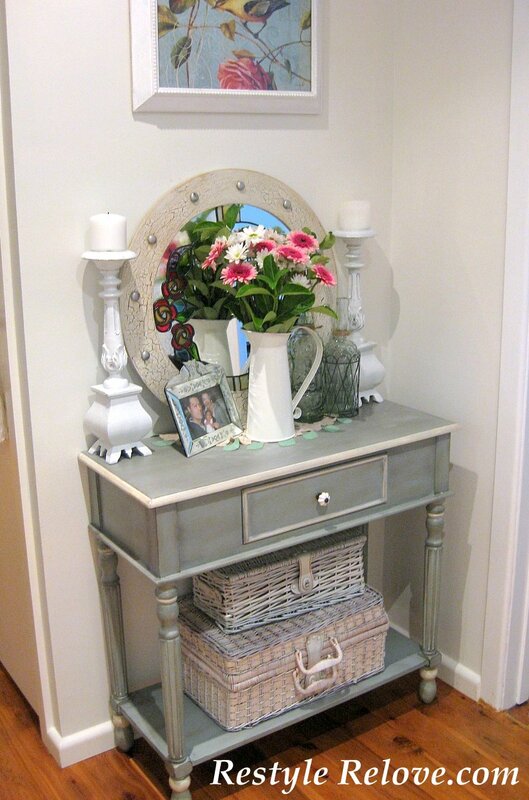 And this is my other hall table. It's a gorgeous shade of blue grey and I adore the cute little porcelain drawer knob. And the glass mirrored photo frame holds a photo of my daughter when she was only a couple of days old. I LOVE this photo! 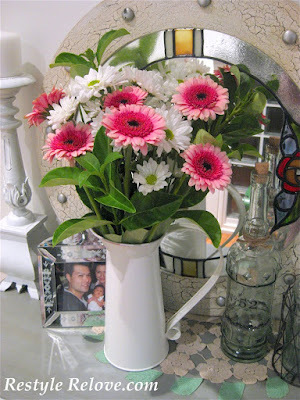 The gorgeous flowers were a recent gift from hubby. They look perfect in my metal jug. I love fresh flowers in the entryway. No only are they beautiful, but make my home feel so inviting. Love the square table! I'm struggling to find just the right piece of furniture for my entryway. It's sort of a weird space with angled walls so it's tricky but I love both the shape and color of that table! Cute! 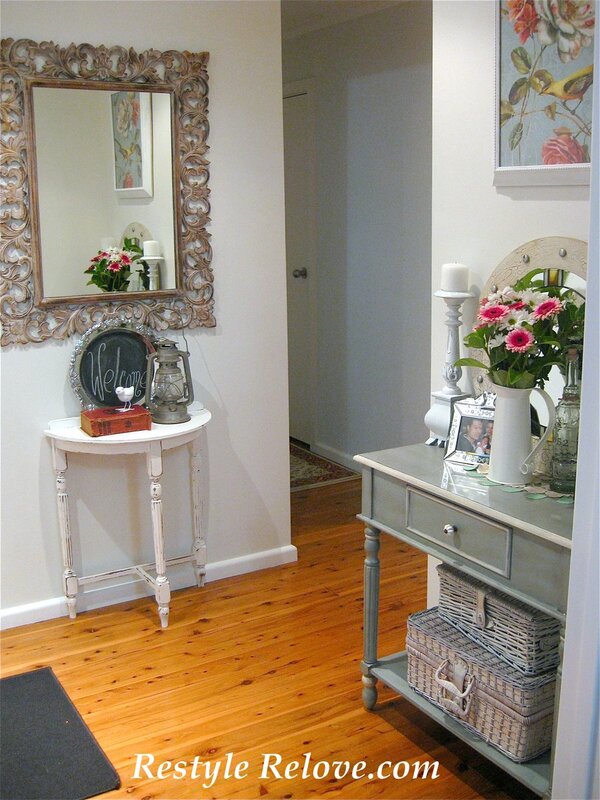 Your entry looks very inviting Julie and I too love a vase of flowers to greet guests. Your entry is so sweet and fresh! You have a good eye for details. And I vote no on painting the trunk! I like the color! Thanks for linking up! 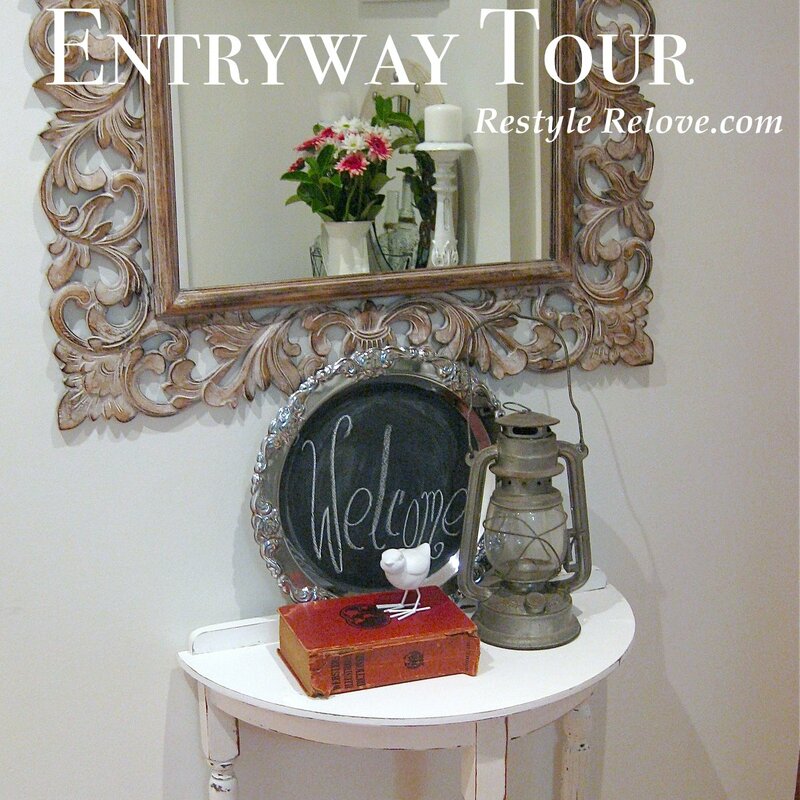 Your entryway is so pretty and inviting! You did a great job!